Oppo is one of the best emerging company in Smartphone Market.Nowadays As we all know that,all smartphones companies are trying their best to feature full screen phone and Oppo has also stepped on this side by introducing their new flagship smartphone Oppo Find X. 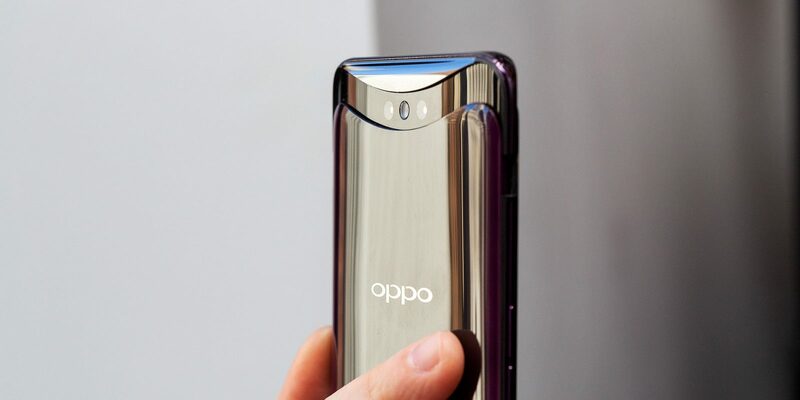 The Oppo company claims that Oppo Find X has 93.8% screen-to-body ratio and the camera is featured on a pop-up tray on the top of the phone. 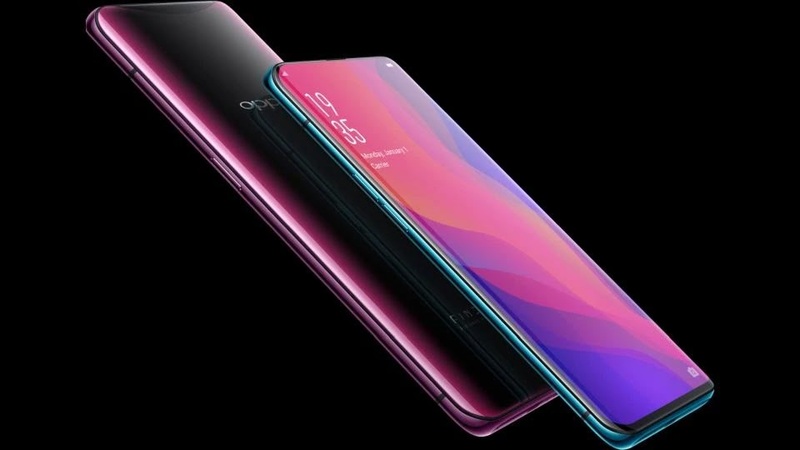 The Oppo Find X is available in two colours variant- a Bordeaux Red and a Glacier Blue.These bright hues are only accented on the main body,before coming into their own along the sides.It looks stunning.If you have Oppo Find X in your hand you'll want it to stay there just because of its design and the colours reflection when it comes in the contact of light which makes the Oppo Find X design amazing.The Oppo Find X is supremely design and comfortable to hold without spilling over due to size or due to a glossy body. Oppo Find X comes with 6.42-inch AMOLED display with a resolution of (1080*2340)pixels and it also features Corning Gorilla Glass 5 protection.Its aspect ratio is 19.5:9 with 401 ppi density.The Oppo Find X is an attempt to offer full screen smartphone without a notch.Instead of having a front-facing camera it is hidden on a tray on the top of the phones which pops-up when you open the camera and give temporary bezel.As we already mentioned before,the Oppo company claimed that Oppo Find X has 93.8% screen-to-body ratio. The Oppo Find X is powered by latest Qualcomm Snapdragon 845(octa-core) processor and runs on Android 8.1 Oreo operating system.The Oppo Find X comes with 8GB of RAM coupled with 256GB of on-board storage.There is no option to expand it further by microSD card. 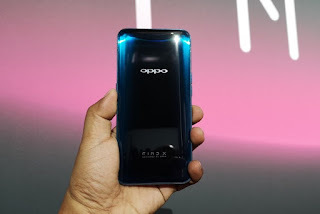 The Oppo Find X comes with dual rear camera-16 megapixel(f/2.0,1/2.6" PDAF,OIS)+20 megapixel(f/2.0,1/2.8") with features like phase detection autofocus,Geo-tagging,touch focus,face detection,HDR and panorama.You can shoot video 2160@30fps,1080@240fps and 720@480fps. For selfie,it features 25-megapixel camera with (f/2.0)aperture.And the interesting thing is both the rear and front cameras are placed on the tray which slides up on the top of the phone. 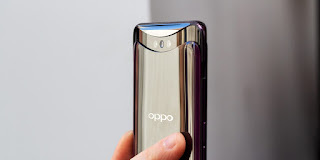 The Oppo Find X comes with Li-Ion 3730 mAh non-removeable battery packed inside of it.And it also supports Fast Battery Charging.To charge the device it gives 5V/4A charger. The expected price of Oppo Find X in India is Rs.59,990.It looks slight expensive but the price is expected we just have to wait for its launch to see what's the actual price of this phone.The phone is expected to launch on July 12,2018.